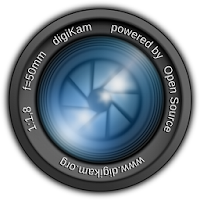 In this tutorial i will show you how to install the latest version of digikam 5.1 on Ubuntu 16.04 LTS /14.04 LTS and Linuxmint. This version introduces a new huge bugs triage and some fixes following first feedback from end-users. In addition, a consolidation of Mysql database interface has been continued. Some optimizations have been introduced to speed-up startup operation, especially to delay the scan from new items after the main interface initialization. Also the option to enable or disable the scan for new items at startup is back in Setup/Miscs dialog page.